The selected products are easy to spot since they all bear the Goûtez l’Ardèche logo. • in approved stores offering a range of Goûtez l’Ardèche products. 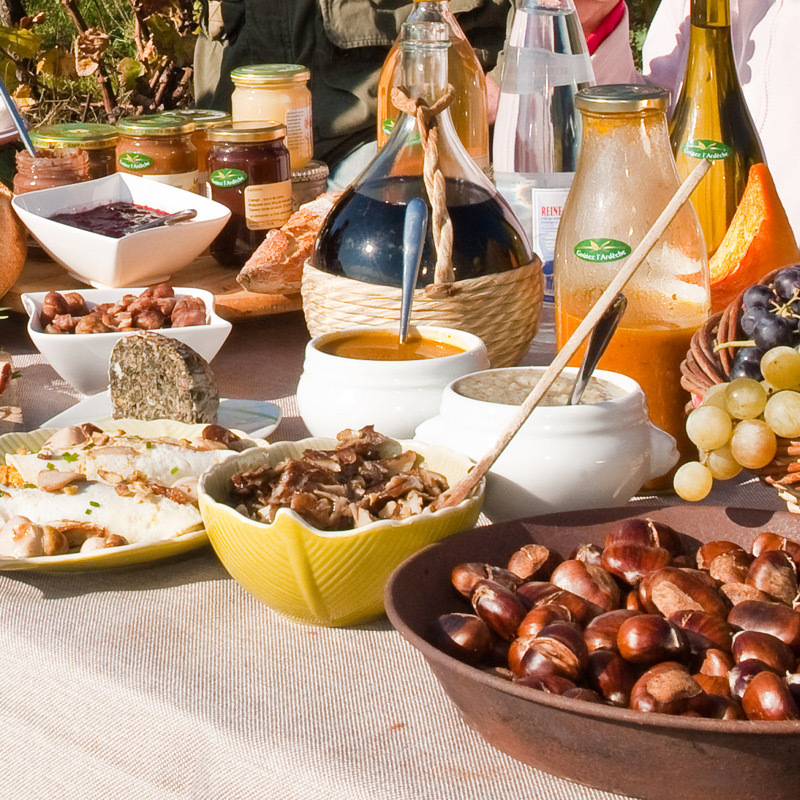 In these outlets, you are sure of finding at least 20 Goûtez l’Ardèche products from at least 3 different producers; but in most cases these dedicated shopkeepers who are ambassadors for their region will offer you a wide range of local products. I want to search for all selling points selected by "Goûtez l’Ardèche".